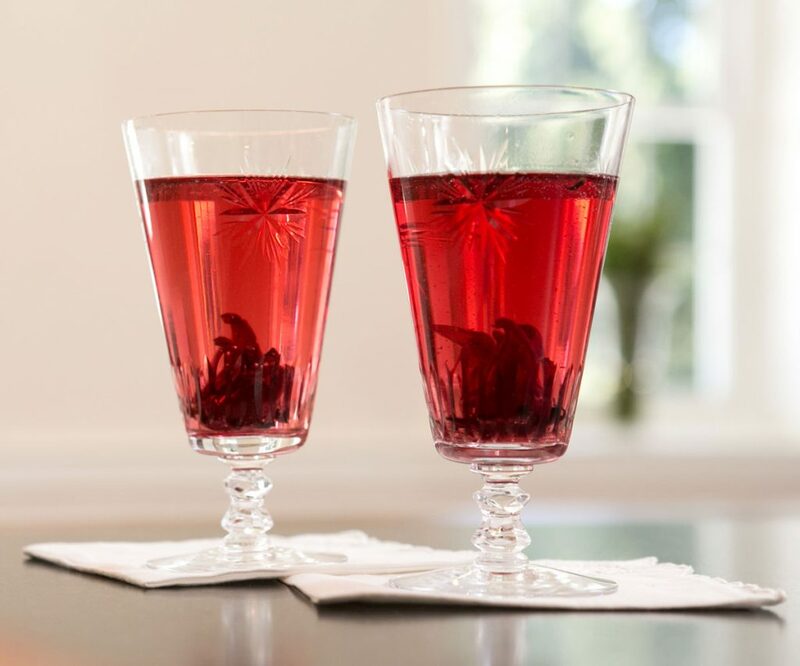 Place a hibiscus flower and some syrup (it’s sweet, so gear it to your taste) in the bottom of a glass. Place ice, vodka (2 parts) and St. Germaine (1 part) in a shaker. Shake and strain over a glass. Top with Champagne.